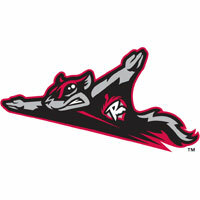 The New Britain Rock Cats (14-9) turned back the Richmond Flying Squirrels sweep attempt with a, 5-2, victory in the finale of a three-game series in front of 5,544 on Sunday afternoon at The Diamond. The Squirrels got on the board first in the third inning against Rock Cats’ left-hander Logan Darnell. Nick Liles, in his first at-bat of the season, contributed an infield-single to get the Squirrels started with one out. Gary Brown followed and rifled a double into the left-center field alley. Liles roared around from first base for a 1-0 lead. New Britain quickly got even with their first run against Richmond lefty Jason Stevenson in the fourth inning. Chris Herrmann started the inning with a single. Two batters later, Deibinson Romero lofted a triple to left field that leveled the ballgame, 1-1. The Rock Cats assumed the lead when they struck again in the fifth. Pedro Florimon opened the inning with a double and advanced to third on a fly out from Mark Dolenc. Stevenson then struck out Estarlin De Los Santos. However, strike three was wild to the backstop. Florimon scored for a 2-1 edge as De Los Santos reached safely. The Squirrels hurriedly knotted it back up with their own run in the fifth inning. Ehire Adrianza triggered the uprising with a double down the right-field line. Daniel Mayora followed with a single to put runners at the corners with nobody out. Liles grounded into a double play, but Adrianza scored to tie the game, 2-2. New Britain made noise again in the sixth inning, reclaiming the lead and chasing Stevenson. Herrmann got it going with a single, his second base hit of the ballgame. Aaron Hicks also singled, moving Herrmann to third base. He scored from there on a sacrifice-fly to right field from Chris Colabello. A batter later, Nate Hanson cracked a double to left-center field, plating Hicks and stretching the New Britain lead to two runs, 4-2. Stevenson (1-4) departed following the double from Hanson and took the loss over 5 2/3 innings. He was charged with four earned runs on seven hits. He walked none and struck out one, enduring his fourth defeat of the season. The Rock Cats tallied a final run against Richmond right-hander Jake Dunning in the eighth inning. Hanson contributed his second RBI of the day when he singled to bring in Herrmann. Herrmann scored three runs in the ballgame. Darnell (3-0) lasted into the seventh inning, earning his third victory of the year over 6 2/3 innings. He allowed two runs on seven hits, walked one and struck out eight. Former Squirrels’ closer Daniel Turpen finished the ballgame on the mound, earning his second save of the season. Turpen was sharp, retiring all seven Squirrels that he faced. The Squirrels open a four-game series with the Bowie Baysox (Baltimore Orioles) at The Diamond on Monday night at 6:35 PM. Richmond RHP Chris Heston (1-2, 1.13) will oppose Bowie LHP Cole McCurry (0-3, 5.30). Tickets are available and can be purchased at SquirrelsBaseball.com.